Vowing To Roll Back Regulations, Trump Faces Uphill Task One reason there are so many regulations is that there are many obstacles to removing them. Undoing federal regulations is neither quick nor simple. President-elect Donald Trump says he has a simple goal in mind when it comes to federal regulations. In a video he released Monday, Trump said he "will formulate a rule that says that for every one new regulation, two old regulations must be eliminated. So important." There are some 80,000 pages in the Federal Register, where all regulations are published. So it should be a simple task to pare back some of them. Wrong. "It's generally not easy to do that," says Susan Dudley, who heads the Regulatory Studies Center at George Washington University. Undoing regulations, she says, is neither quick nor simple. To repeal a regulation, Dudley says a federal agency "would have to go through the notice and comment rule-making process, the same process that's used to develop a new regulation and that would take at least a year." So basically everything an agency does to create a rule, it has to do to repeal one. There is a work-around, at least for the most recently approved regulations: the Congressional Review Act. Under that rarely used law, Congress can repeal rules with a simple majority vote — but only those adopted during the last 60 working days of the current congressional session. So it would affect only regulations that, for this Congress — which spent a lot of time in recess — go back to May. Still, there are a number of rules that could be overturned. For example, emissions limits on big trucks, efficiency standards for appliances, and restrictions on payday lending were all introduced in that window. Sam Batkins, of the American Action Forum, a conservative think tank, says the problem is that Congress will already have a lot on its plate early next year, passing spending bills and voting on about 1,000 Trump administration nominations. So it comes down to how much time lawmakers want to spend on regulations. "The House and Senate are going to be really busy next spring, so to the extent they want to work repealing past regulations is up to them," said Batkins. And there is another possible stumbling block. Under the Congressional Review Act, once Congress repeals a regulation, the new administration can't revisit the issue. So, for instance, if lawmakers voted to repeal the truck emissions rule but the Trump administration still wished for a less restrictive regulation, it would be barred from proposing it. There are other things Trump could do to change Obama administration policies. Those initiated through executive actions could be undone by Trump executive actions. For some rules, including the EPA's Clean Power Plan, that are being challenged in court, the new administration could tell the judge it will no longer defend them. Batkins believes the best answer for those who feel that too many regulations are holding back economic growth is a more thorough reform of the process. "I think that we all realize that repealing five or six rules during early spring is not going to change that calculus a great deal. 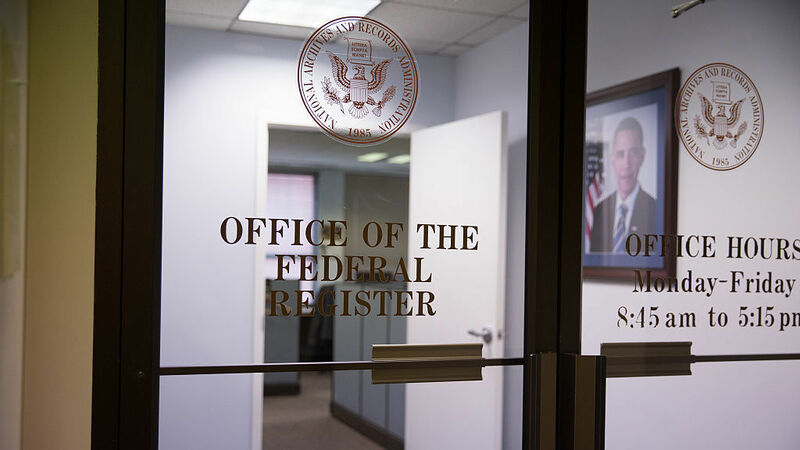 I think we're far more interested in comprehensive reform in terms of how agencies regulate." While Trump promises to put America first, this is one area where he may take a cue from other countries. Canada and Britain both have policies that require old regulations be eliminated each time a new one is enacted.